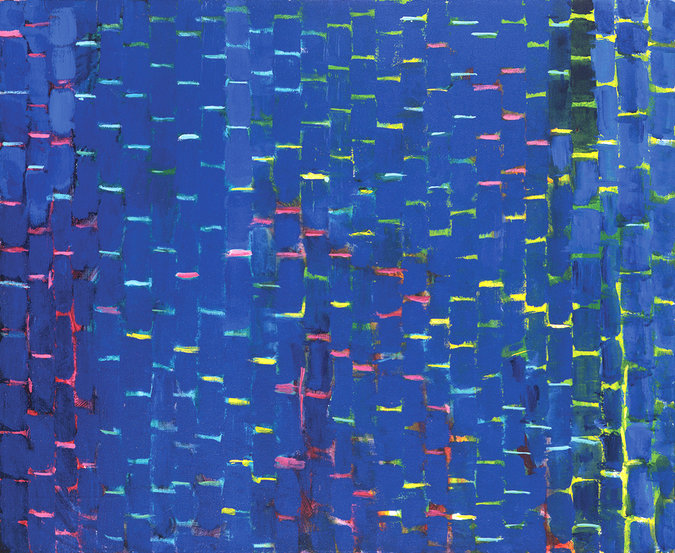 Alma Thomas at the Studio Museum in Harlem continues to make headlines. A painting in NMWA’s collection, Iris, Tulips, Jonquils, and Crocuses, is on view in the exhibition. Thomas had “one of the great, late-blooming careers in American art during the post-World War II era,” writes the New York Times. 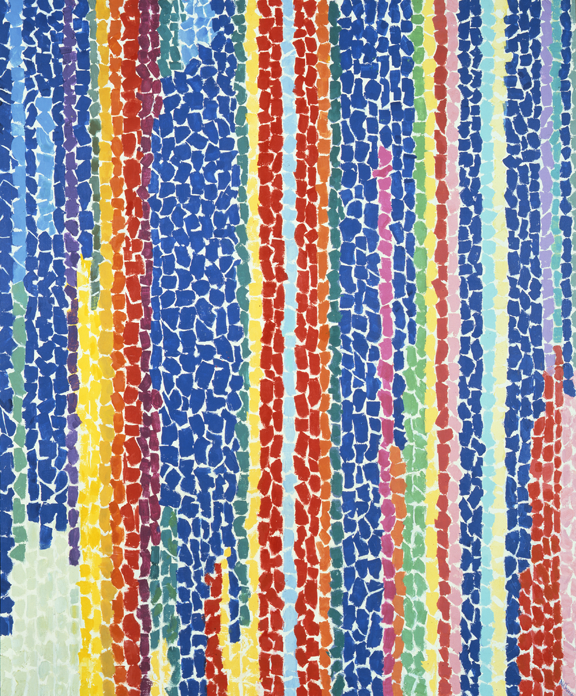 At the age of 80, Alma Thomas became the first African American woman to have a solo exhibition at the Whitney Museum of American Art. Photographer Kathy Shorr documents the scars of survivors of gun violence. Lucy Sparrow’s first installation in New York will be a corner shop where people can browse 8,000 items—all hand-sewn from felt and available for purchase. 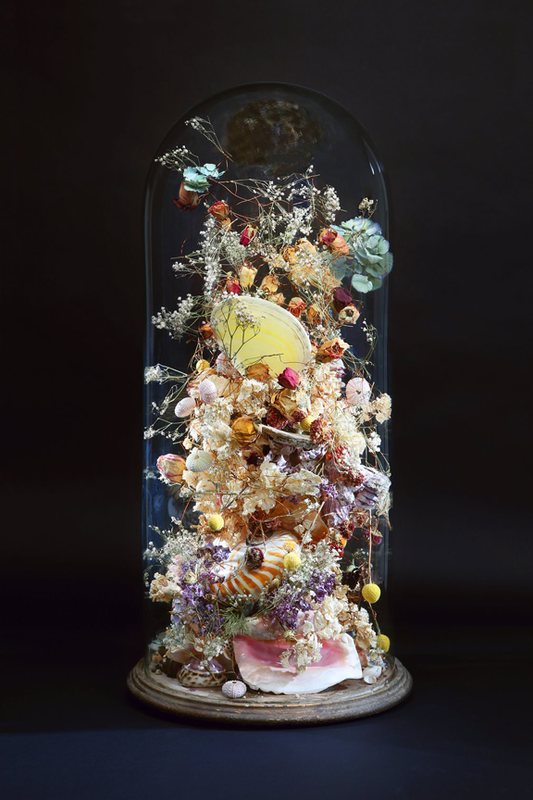 Rebecca Louise Law re-creates Dutch still-life paintings as 3-D sculptures and photographs their decay over time. Mariko Mori discusses her translucent ring sculpture, sponsored by the Olympics and mounted above a waterfall in Rio de Janerio. 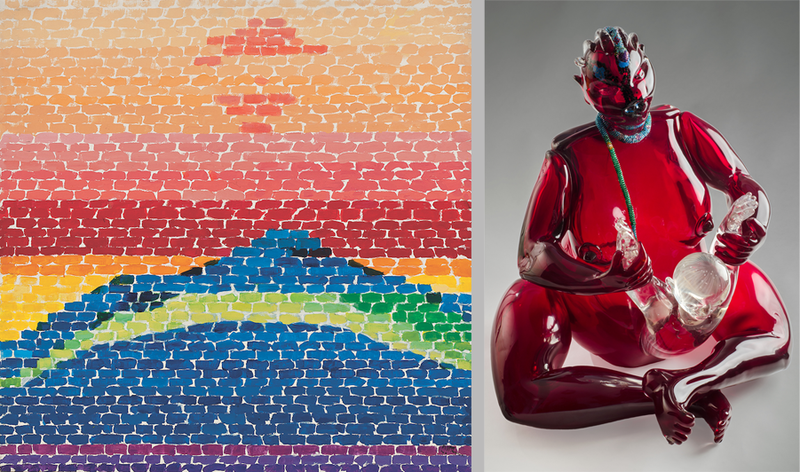 Juxtapoz shares South African artist Barbara Wildenboer’s book sculptures. Turkish painter and journalist Zehra Doğan was detained in Turkey after the failed military coup. Feminist Avant Garde of the 1970s comprises over 150 works by 48 international female artists. artnet shares seven facts about Abstract Expressionist painter Hedda Sterne (1910–2011). Artsy discusses the forgotten legacy of Beatrice Wood. Ten paintings of Brandi Twilley’s childhood home in Oklahoma, which burnt down in 1999, comprise the exhibition The Living Room. ArtInfo shares Marina Abramović’s 1975 film Art Must Be Beautiful, Artist Must Be Beautiful. This summer, New York-based painter Nicole Eisenman will occupy a workshop on the Greek island of Hydra. Comedian Ali Wong discusses her first comedy special, filming while pregnant, and female comics. Hyperallergic asks Elizabeth Sackler about the Sackler Center First Award, Angela Davis, and mass incarceration. Heather Headley returns to Broadway after 15 years in a revival of The Color Purple. A new book about Agnes Martin emphasizes the importance of the artist’s early works. Jesmyn Ward invited prominent writers and thinkers to reflect on black life in America and contribute to her essay collection The Fire This Time. Cate Blanchett will perform 13 separate roles in German cinematographer and video artist Julian Rosefeldt’s film installation Manifesto. Ava DuVernay will direct the film adaptation of Madeleine L’Engle’s A Wrinkle in Time—making her the first woman of color to direct a film with a $100 million budget. Alice in Black and White explores the life of photographer Alice Austen (1866–1952), including her relationship with Gertrude Tate. Anicka Yi, whose work will be on view in NO MAN’S LAND: Women Artists from the Rubell Family Collection, presents new work in Germany. She: International Women Artists Exhibition, on view at the Long Museum in Shanghai, features 108 works by 100 female artists from 13 countries. The Art Newspaper reports that the exhibition’s four sections span ten centuries. 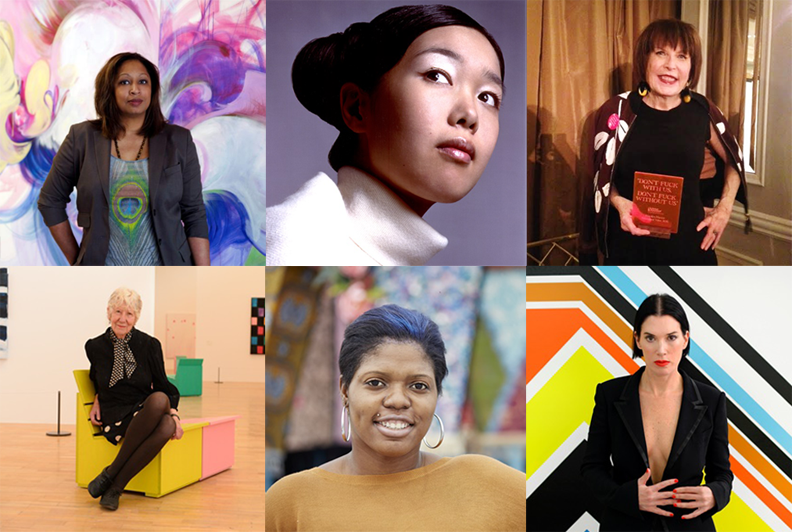 Eighteen women artists share advice for young artists in an article for artnet. Mexican artist Teresa Margolles builds a concrete shelter in Echo Park incorporating debris from homicide scenes as a monument to 100 forgotten victims. The Washington Post interviews Iranian artist Atena Farghadani, who was released from prison two months ago. Greek artist Despina Stokou writes an article about navigating art-world sexism. Hyperallergic reviews The Woman Destroyed, featuring works related to femininity and the deconstruction of the female body within art history. MoMA acquired Faith Ringgold’s American People Series #20: Die, which was on view at NMWA in 2013. Slovakian artist Mária Švarbová stages eerie photographs of pastel-colored swimming pools. Niki de Saint Phalle’s previously unseen works are on view in London. 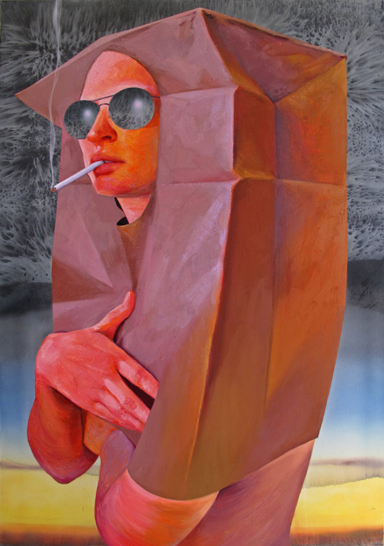 Louise Hearman won the 2016 Archibald prize. 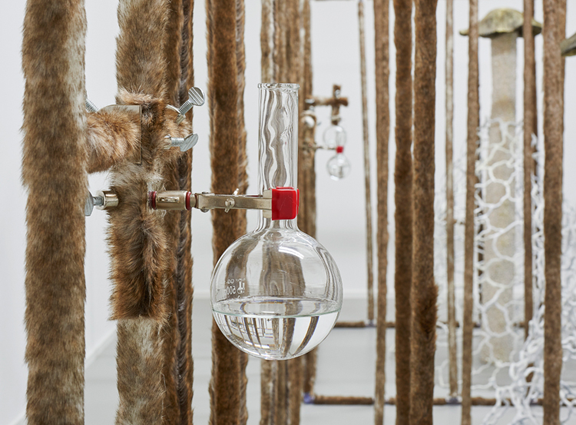 Amy Cutler collaborated with a musician and a stylist for an interactive installation involving 800 feet of braided hair. Juxtapoz highlights Rachel Kneebone’s fractured porcelain figures. Google commissioned two women artists to create a mural using spreadsheets. Japanese artist Yayoi Kusama illustrated The Little Mermaid. 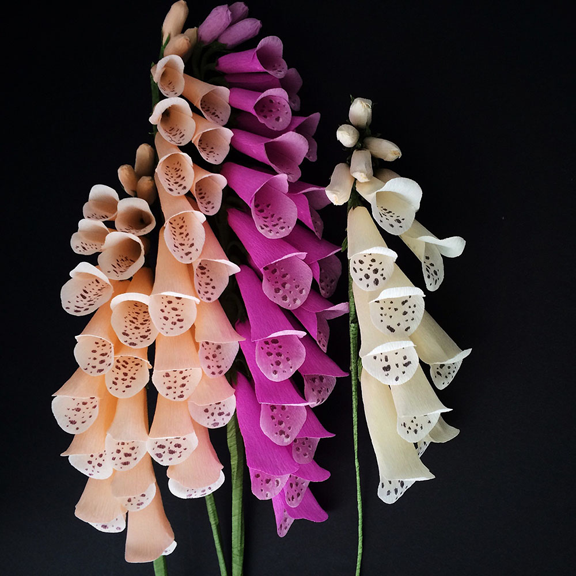 Seattle-based artist Kate Alarcón transforms paper materials into flowers. Women writers like H. M. Ward find success by self-publishing their work online. More than 150 literary figures call for the release of imprisoned Palestinian poet Dareen Tatour. Cyntha Ozick discusses reading as a child and how to create good villains. Filmmaker Rebecca Miller discusses her fifth feature film, Maggie’s Plan. Ava DuVernay’s new documentary explores the U.S.’s sky-high incarceration rate. Screenwriter Melissa Mathison, best known for E.T., passed away before the completion of The BFG. Six hundred pieces of music left behind by Jane Austen’s family are now available online. The all-female Ghostbusters movie earned $46 million in its opening weekend. 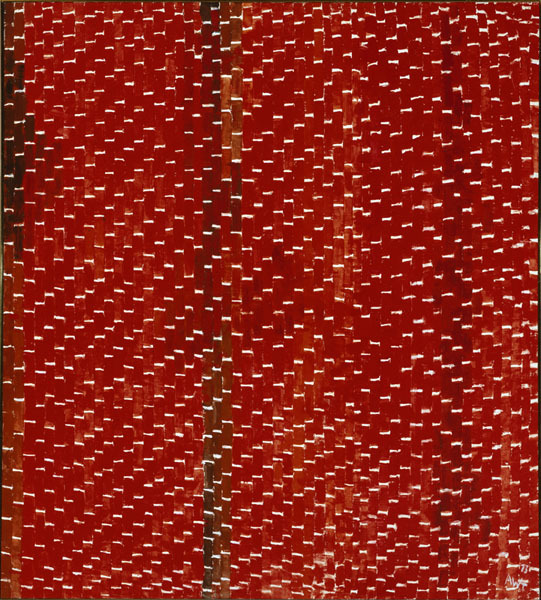 Alma Thomas at the Studio Museum in Harlem features works from every period of the artist’s career—including a work on loan from NMWA. ARTnews shares review excerpts from their archives about Thomas’s colorful abstractions. Whitechapel Gallery will host the first U.K. exhibition of the Guerrilla Girls—or “feminist masked avengers”—titled Is It Even Worse in Europe? Did you know that even though women make up 51% of visual artists today, in the U.S. only 5% of work on museum walls is by women? It is no surprise that if you ask someone to name five artists, they will likely list prominent male artists. This March, for Women’s History Month, NMWA leads a social media campaign to help everyone answer the question, Can you name five women artists? 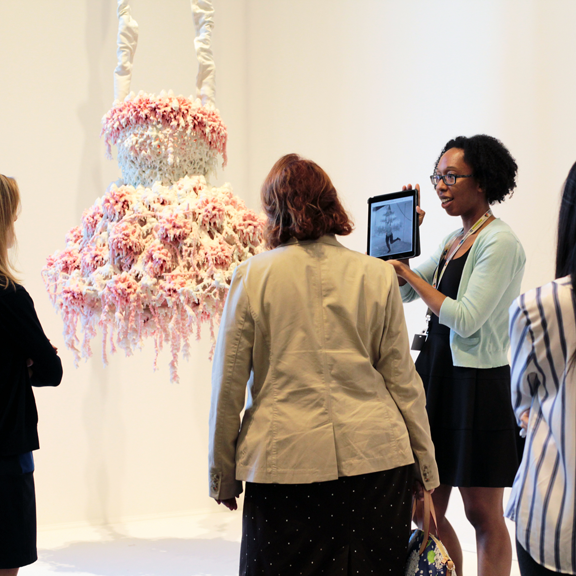 Join the museum and other institutions, including the National Gallery of Art, Brooklyn Museum of Art, and Guggenheim Bilbao, to share stories of women artists using the hashtag #5womenartists on Twitter and Instagram. 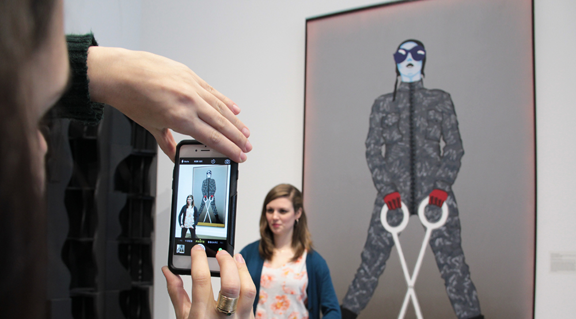 Find out more about the initiative in this artnet article. 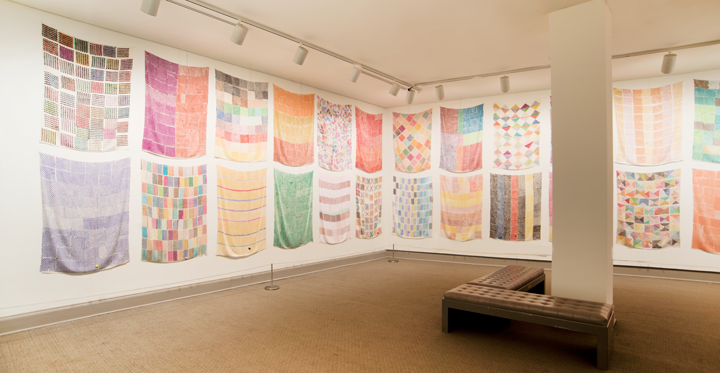 In 1921, Alma Woodsey Thomas (1891–1978) was the first fine arts student to graduate from Howard University in Washington, D.C. During her 35-year career as a teacher at a D.C. junior high school, she was devoted to her students and organized art clubs, lectures, and student exhibitions. Rosalba Carriera (1675–1757), a member of the Royal Academy of Painting and Sculpture, was responsible for elevating the status of pastel from its use for sketches to a respected medium in its own right. Over the span of its existence, the Academy, which had approximately 450 members in total, only admitted 15 women. At the age of 52, Maria Sibylla Merian (1647–1717) and her young daughter embarked on a risky trip to the Dutch colony of Suriname in South America. She recorded indigenous flora and fauna and helped 18th-century scientists understand metamorphosis. Hester Bateman (1709–1794) inherited her husband’s silver workshop after he died. She made the business profitable and her descendants helped the workshop thrive until the mid-19th century. The key to her success was the integration of modern technology with classical design—a cost-effective way to attract middle-class buyers. Referenced in her New York Times obituary as the “wife of Diego Rivera, the noted painter,” Frida Kahlo (1907–1954) soared in fame posthumously. She became the first 20th-century Mexican artist to have work acquired by the Louvre. In the 1980s, numerous books were published about her work by feminist art historians and others. —Stacy Meteer is the communications and marketing associate at the National Museum of Women in the Arts.